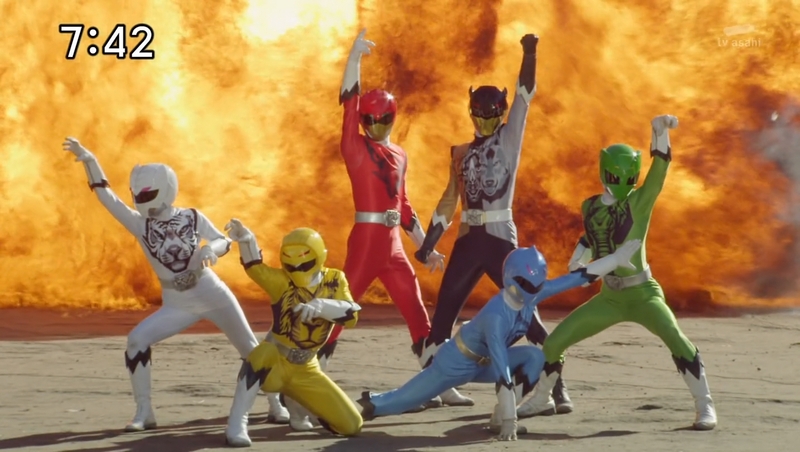 Like a pack of wolves we’ve hunted down the 40th Super Sentai season to its ultimate conclusion. Zigg spills the beans on a journey of fun, friendship, and shockingly bad rubber masks. It’s odd thinking back a year how on edge I was about Zyuohger. Not necessarily because this was a life or death season for the show of course – Bandai’s market-at-large of young Japanese boys continue to ensure that Super Sentai isn’t going anywhere anytime soon. For them this was just business as usual. But for me personally it may have been a make or break point for my fandom. Much as I love Sentai, the last two seasons – the anaemic ToQger and the deeply irritating Ninninger had largely worn out my love for the franchise. With these shows spanning an entire year it’s a huge commitment to see them through and I was personally questioning whether I still had the wherewithal to do that. While Toei were definitely not bearing me in mind when the time came for Zyuohger, they coincidentally hit many of the points I wanted them to. What resulted was something of a back to basics series, one which eschewed gimmicky trappings (within reason – is is still a sentai show) for a return to a relatively solid foundation. Six core rangers, some nice broad characters and lots of fun, goofy times to be had. Nothing too radical and nothing that strays too far from the formula, but a welcome improvement in quality on a well established base. Most importantly, after a few year of desperately boring and unlikable protagonists shoved down our throats, we were finally rewarded with a team who were both likable and funny, and who were doled out in appropriate doses to keep them all fresh and interesting. Yamato was a likable Red Ranger who mercifully didn’t dominate the spotlight like Takaharu, and whose easygoing nature reflected the overall relaxed nature of the show. If there’s a critique to be made it’s probably that he’s almost too passive, and doesn’t really have a storyline that grabs the show by the scruff of the neck. His interactions with his father occur way too late in the plot to be impactful, and they’re pretty shallow and without real merit anyway. Disappeared dads are such a staple of toku, and of Japanese storytelling in general really, that he can’t really move the needle on this one. As for the rest of the crew, they’re a pretty solid ragtag band who play their parts effectively. The girls get the short end of the stick this time round though, as they’re pretty perfunctory, with Sela and Amu respectively filling out the bitchy/girly double team dynamic. It works well enough, and again I must emphasise they’re likable characters, but it definitely feels they could have done with another episode or two of character building, particularly Amu who’s by some degree the least fleshed out of the main six. Of the boys, Tusk is well drawn but a little dour, which makes sense given his assigned role is the sceptic, aka the no-fun guy. His focus episodes do a good job pulling out some more dynamism from him, and his odd couple pairings with all of the other male characters are fun, as he effectively plays the straight man to their jokers. Leo is terrific and easily my favourite of the core 5, which is partially due to getting the lion’s share (no pun intended) of great scripts and partially due to Shohei Nanba’s terrific comic acting. He’s great with small tics and background actions which just enhance the humour of the character, and his boisterous personality really shines when given the chance. Misao, like many sixth rangers, steals the show show completely once he’s introduced, and it’s a bit of comedic genius to make his real personality so diametrically opposite to his fearsome introduction. Black humour isn’t something that Super Sentai does often and Micchan’s comically exaggerated mood swings are a very very broad version of it, but they’re super funny in a biting way, and his insane delusions made me laugh harder than anything else in the entire show, particularly the ‘evil pancake’ segment. Which Misao is terrific, the same can’t be said for the team’s other bonus ranger, Bard. In fact, I’d go as far to say that bard and the associated plotline surrounding him is the single most disappointing part of the show. The character himself is poorly written, with seemingly little motive and a bunch of plot mysteries around him that coalesce into basically nothing. Him having a previous connection with Yamato’s dad is a neat flourish but nothing like the major twist the show seems to treat it as, and the feeling overall is that he contributes so little that he could have been entirely excised with minimal effort. The fact his ranger form is a lame pallet swap of Yamato’s is a big letdown, but what kills the character stone dead in my mind is Kohei Murakami’s performance. I’ve lost count of the times one of us yelled ‘just emote!’ at the screen, and though I get the character is meant to be stoic, there’s a fine line between stoic and boring, and he definitely crosses it in my opinion. The other big letdown in Zyuohger to my mind is the villains. Genis and his team aren’t bad really, but they’re not amazing either, and toku in general is super reliant on excellent villains to push its stories above and beyond. There’s very little long-term plotting done around the bad guys, save for Kubar’s attempted backstab of Genis, and even that ends underwhelmingly. Bunglay never felt like anything but a filler baddie to pad for time (though his murder of Yamato’s fake mother is memorably shocking) and the whole ‘Blood Game’ concept feels very underutilised, being the very thinnest of justifications to perpetuate the standard ‘one monster at a time’ convention. 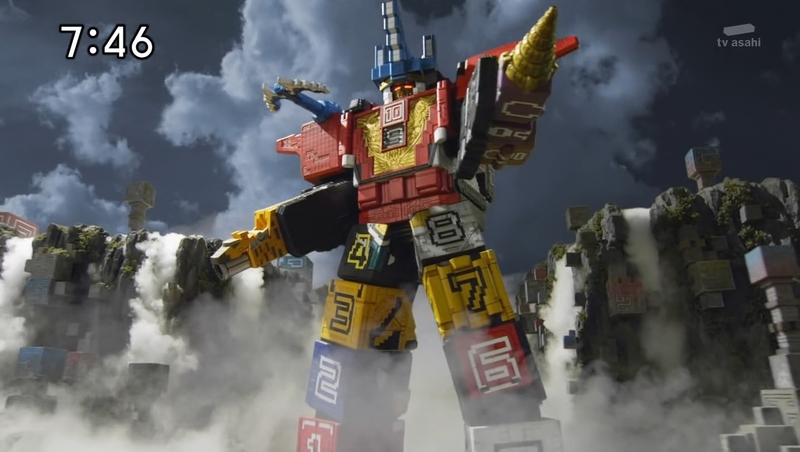 At least the Toei design department remain as on point as ever, serving up terrific monster designs, some cool weapons and one of the best robots in years. 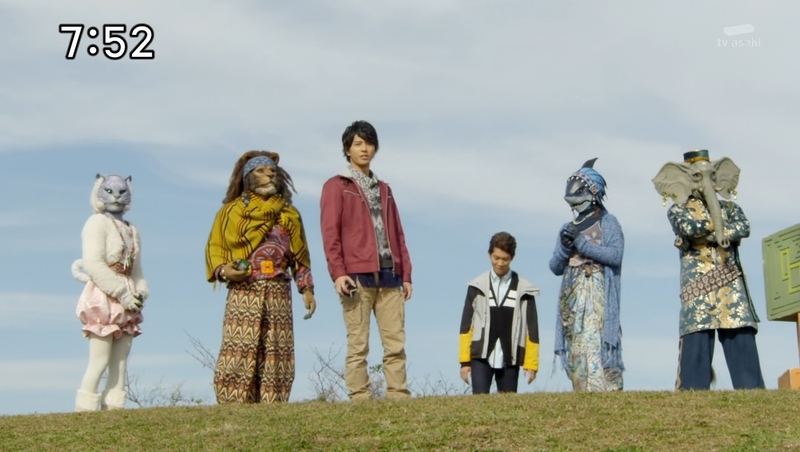 Overall then, Zyuohger was what I’d class as an above average series, punching up with some big laughs and fun characters, but falling back on bigger picture plot and bad guys. What’s important though is that after two years of misfiring this series proved that the Super Sentai formula still works, and can still make me laugh and cheer when it’s executed well. 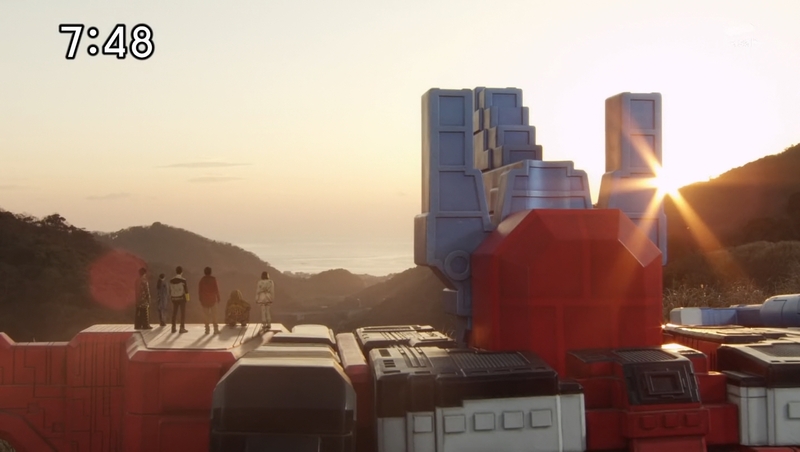 What Zyuohger represents to me then is an important moment, as Toei steadied their ship and proved that even after 40 years there’s still life in the old beast yet. It constantly kept me entertained for an entire year, and I’m totally ready for more. As far as these shows go, you can’t ask for much more than that. I was surprised how little Toei brought up that this was the 40th season/40th anniversary of Super Sentai, given how these big anniversaries are often a cue for the marketing team to go utterly bananas. There was pretty much just the (excellent) two part crossover with 35th anniversary season Gokaiger, and the currently airing Ninninger teamup movie. Speaking of that movie, we’ll attempt to cover both it and the recently announced sequel DVD movie whenever they become available. Thanks once again to the crew at Over-Time for their excellent subbing work. Keep your eyes open in the coming days for a First Look at the latest series Uchu Sentai Kyuranger. It’s Space Time! I gotta disagree with you about the villains, I thought they were quite memorable. Genis: Pretty much the only *calm* Sentai big bad I’ve ever seen instead of the hammy histrionic scenery-chewers we usually get. Not that there’s anything wrong with that, but the change was refreshing. It even made sense given his motives; he’s after entertainment, not conquest, so he doesn’t even care if the monster loses so long as it put on a good show. 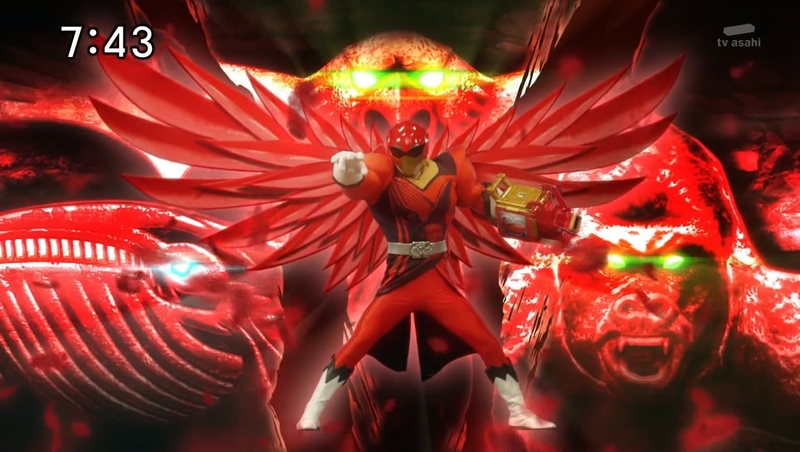 Also gave us the best Sentai final battle since Ackdos Gil, more than making up for how easily Kibaoni went down. Bunglay: Easily the nastiest Sentai villain since Basco…although his power did seem like an excuse to have several episodes without having to make new monster suits. Kubar & Azald: I liked that they got a lot more depth and characterization than most Sentai shows where they’d just be The Smart One and The Violent One. Naria:….okay, she’s pretty much just Insarn 2.0. I guess they can’t all be winners.